Gavin: How did you become involved with the Jure Grando case? Tom: In 2004 my friend, the author Boris Peric started to work on his novel Vampir, and he asked me for help with some folklore stories for background. Boris already knew about the story of Jure Grando, as recorded in the late 17th century by Johan Weikhard von Valvasor in his book The Glory of the Duchy of Carnoli. But the problem was that Boris wasn't able to pinpoint the place where Valvasor first heard the story. 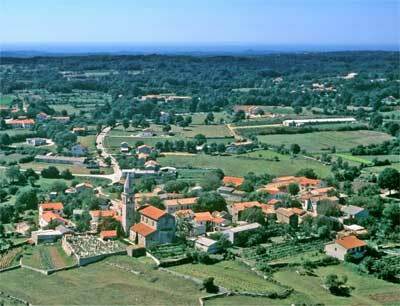 He eventually worked out that it was the village of Kringa in Istria. Boris finished the novel and afterwards we published a book together – Fantastic Creatures of Istria and Kvarner – which detailed everything that we'd learned during our researches. It gives an account of the historical and cultural context of the different beliefs that were present in that part of Croatia. From then on I shifted my professional interest a little towards re-thinking the occult and fantasy, employing theoretical concepts that I used in my work in anthropology, like post-colonial theory and theoretical psychoanalysis. G: Briefly, what is the Jure Grando story? 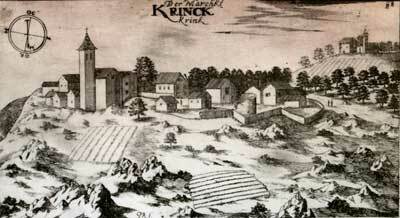 T: Valvasor wrote the Grando story as he heard it from eye-witnesses from Kringa. Jure Grando died, but afterwards he started to walk around at night, knocking on doors and harassing his widow. He began spreading death and illness throughout the village. The widow complained to the mayor, one Miha Radetich, who assembled a group of courageous villagers to open the grave and pierce the corpse's belly with a wooden stake. But as they opened the grave, Jure Grando started to laugh at them, and they panicked and ran away. But Miha Radetich did not give up, and convinced the villagers to go back. In the second attempt, a priest showed a crucifix to Grando, who then started to cry, at which the villagers tried to cut off his head. They eventually succeeded, and the grave overflowed with blood. Jure Grando then started to shout, as if he was still alive, before finally expiring. G: Why do you think the Jure Grando case is significant? It predates better known Serbian cases like Peter Plogojowitz and Arnold Paole by some time doesn't it? T: The story of Jure Grando was initially written in novelistic manner, unlike those of Peter Plogojowitz (more properly Petar Blagojevich) and Arnold Paole (Arnold Pavle) that appear in the accounts of Flückinger, who was an Austro-Hungarian military physician. The Grando story also predates those of Blagojevich and Pavle. But there are some striking facts that we discovered and will detail in our upcoming book about Bram Stoker’s novel Dracula, that make the story of Jure Grando even more interesting. We knew that Lord Byron and Polidori had access to the story of Grando previous to that legendary evening by Geneva Lake in 1816, when Mary Shelley conceived of Frankenstein and Polidori's influential novella The Vampyre was born. But there were no obvious direct connections between Grando and Stoker’s Dracula. However, thanks to Professor Elizabeth Miller and her tireless work publishing Stoker’s original notes for Dracula, and deconstructing interpretations that have appeared over the last thirty years or so, we were able to check Stoker’s reading list for Dracula. He used a book by Herbert Mayo, entitled Letters on Truths in Popular Superstition (from 1848), which includes the story of Jure Grando. At first glance this would appear merely to be interesting trivia, but the case of Jure Grando is the first vampire story, from either literature and folklore, that features a crucifix employed as a defensive weapon. We could still of course assume that a crucifix just qualifies as generic equipment against evil, and that Stoker merely included his crucifix in that general sense. But throughout history, even in the early Middle Ages, we can track administrative prohibitions by church authorities forbidding digging up the graves and taking part in the killing of the vampires. People would therefore not normally resort to the church – whether Orthodox, Protestant or Catholic – or Christian symbols to defend themselves against vampire threats. And of course there is no crucifix in Polidori’s Vampyre or Le Fanu’s famous vampire novella Carmilla. G: Why do these important early cases originate in Eastern Europe do you think? T: If you look at the time when the so-called vampire fever started, it coincides with the decline of Turkey's Ottoman Empire in the 1700s. Previously-occupied Eastern European lands were liberated from the Turks, but also almost rediscovered by the West. The travelers, merchants and so forth who ventured east, found unfamiliar lands and people who weren't Oriental but also not quite European as they understood it. They defied classification. Many visitors described these recently liberated Eastern European cultures as a kind of living history, as if they are traveling not just through the space but also back through time. In such an environment, the idea that a creature like a vampire might exist seemed somehow plausible. The vampire is a creature that is un-dead, something that persists despite any natural laws or rules of culture. Above all, the end of the 18th century marked the starting point of a new view on nature and society, and in such an atmosphere, when the new orthodoxy is not yet established, and the old ways linger on, all kind of things are possible. G: These early Eastern European accounts often describe the vampires as strigoi. What is a strigoi, and how does it relate to the vampire myth? T: It relates to different beliefs about how certain individuals become vampires. In folklore there are a lot of different reasons for vampirism. One of them is that a witch will become a vampire after their death. The strigoi is a sort of, predominantly male, witch that will turn into a vampire due to their bad deeds and the forbidden knowledge acquired through dealing with evil forces. It is hard to adequately determine the origin of the word because it could easily came from either Italian or Romanian language – there was substantial immigration from Romania to Istria. Nevertheless, the vampire is known throughout the Balkans under different names, and strigoi is just one of them. What unites them is the fear of too much life, raw life in a sense, that you cannot simply confine or extinguish from the body. T: Yes there were attempts not just to revive the story but also to exploit it for local tourism. In Kringa there's a Vampire pub where one of the rooms is decorated in “vampire” style, and you can drink cocktails named after vampire legends. Occasionally, the pub hosts horror story festivals. We've also put a plaque on a municipal building in memory of the brave people of Kringa who killed the vampire Jure Grando. But the fact of the matter is that many in the local community would rather not be identified as people from the village infamous for giving Europe its first fully-fledged vampire, complete with a full name.